Street Parking is available for our customers. Water Street Parking Garage and Market Street Parking Garage are both within walking distance of Fleurie. 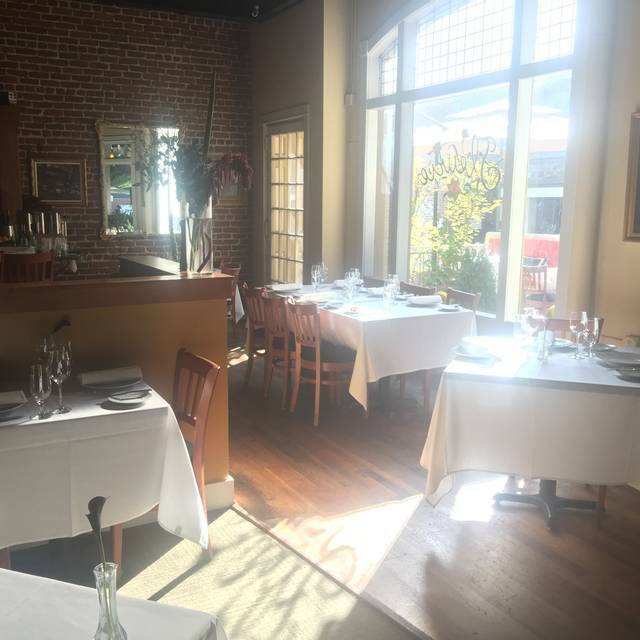 Join us at Fleurie Restaurant for a contemporary French fine dining experience, located just off Charlottesville's charming Downtown Mall on 3rd Street. Fleurie's elegant atmosphere, stellar wine list, and innovative menus are sure to produce an unforgettable meal. Fleurie is the perfect place to celebrate special occasions or simply enjoy masterfully prepared dishes and intimate service. From 5:30-6:15 we offer a $36 three-course Pre-Theater menu Monday through Saturday (Subject to Exceptions). Most nights we offer both per-person Tasting and Vegetarian Tasting Menus, highlighting local ingredients and unique creations. Our Tasting Menus feature optional Wine Pairings. Fleurie is an outstanding restaurant with interesting, appealing and delicious food options. Excellent meal. Service was very good. Wonderful restaurant, great food and a comfortable serene atmosphere. Would definitely recommend and go back. Wonderful food and service. Our favorite place to go when in Charlottesville! Charming atmosphere. Very attentive and professional service. Outstanding food. Great wine selection. What more could you ask for? Fleurie was a very nice, cozy restaurant with delicious food and great service. The ambiance was comfortable and appealing, and the food creative and well prepared. Our waitstaff was outstanding! Melissa was particularly helpful. She guided us to some excellent menu choices and wine pairings that perfectly suited our tastes that evening. Overall, it was great dinner and an enjoyable evening. My daughter had her 21st birthday here and they did an amazing job. She will remember this as one of her best meals. Between Rebecca and Melissa, they made her meal a wonderful event. They personalized her menu. Rebecca went out and bought flowers for her. Melissa picked out a great wine that went perfectly with their meal. My daughter and her boyfriend loved the food! I would recommend Fleurie for Special occasions and everyday dining! My husband and I treated ourselves here for a Date Night. It was an amazing experience through and through. The food and wine were perfectly paired and the service was spot on. We will return to try the rest of the menu. Fabulous food in a great setting and the service was outstanding! Would highly recommend! They really swept us off our feet! Everything was superb, if I had an extra would give three thumbs up for the butter poached lobster. Also kudos to their bar tender, a real master of his craft. Remarkably authentic French cuisine, as opposed to more typical American-French. 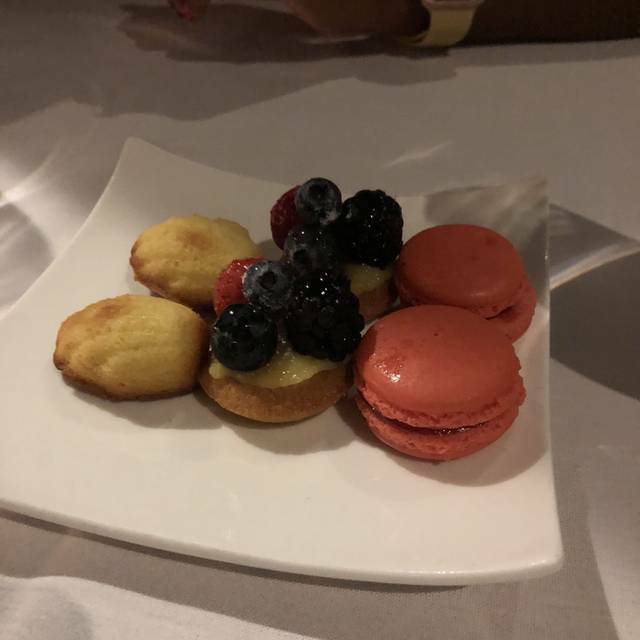 We had the tasting menu consisting of foie gras, scallops, lobster, rabbit, lamb trio, sorbet, and macaron ice cream sandwiches. $35 corkage was hefty but tolerable. Recommended by a friend and a real winner in downtown Cville. Had three small plates, lobster bisque, beet salad and mushroom stuffed quail--all superb! Wife had lobster bisque and beautiful scallops. Thanks to Chef for letting us sample such a variety! Would recommend to anyone visiting Cville. Excellent five star service! 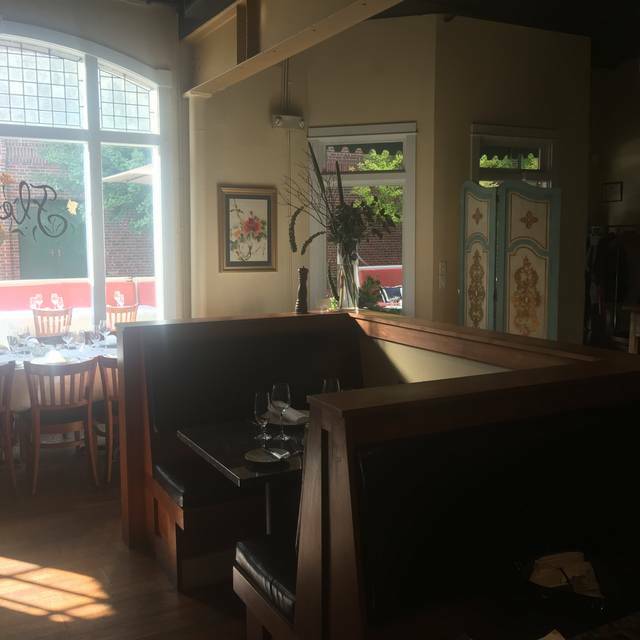 Lovely French food in the Charlottesville area and one of the higher end places in that area. Service and good were great for the value. Ordered a la cart and portions were generous and rich in flavor. 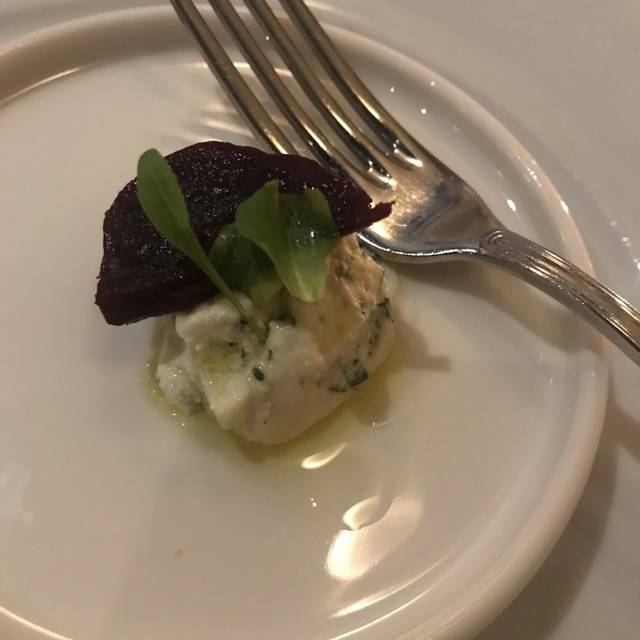 Next time going for the tasting menu and nice that they offered a veggie tasting menu option! 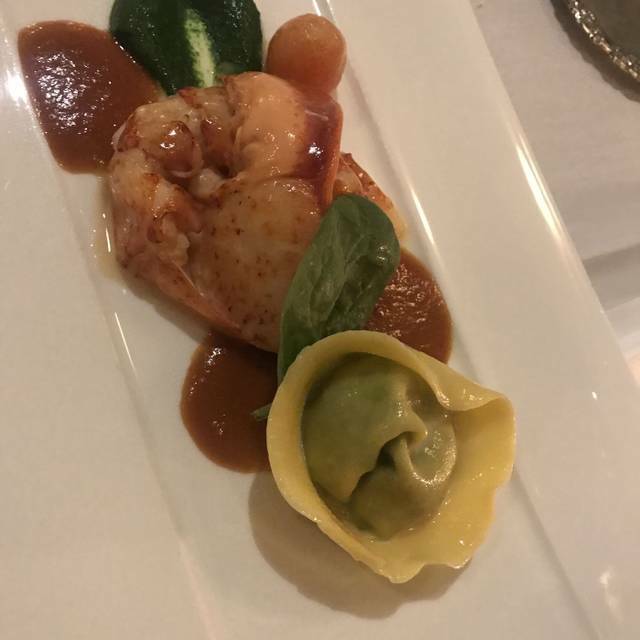 Enjoyed the butter poached lobster, scallops, and mushroom gnocchi dumplings. All outstanding. A generous complimentary dessert bites were served! Consistently excellent. The food and service were superb and the employees are friendly and just attentive enough. Superior wine selection and recommendation. We had a relaxing, enjoyable and delightful evening. Wonderful time at Fleurie! It is a nice space. Good vibe. Food was all delicious-quail, lobster bisque , duck entree , apple tart dessert. Service was great! Enjoyed a fantastic dinner with reserve wine pairings. Absolutely delightful! Everything was outstanding. Fleurie was amazing!!! The staff were engaging and knowledgeable. The food was delicious. We will definitely be back! Great experience with very attentive staff. Phenomenal French wine (by the glass). A true gem ... we will be back ! The chef has a deft hand. Everything always perfectly cooked, seasoning creatively chosen and balanced. I savored every bite tonight, esp the bison. Melt in your mouth - and that bernaise was heaven! Service is wonderfully attentive without pretention. If you want delicious, unique wine choices with your meal, ask for Melissa as your server! And don't miss the creme brulee for dessert. With the mead! Excellent service! You are treated like royalty! The food was divine! The butter poached lobster was perfection and the foie gras melted in your mouth. The Sommelier was just fabulous! She was extremely knowledgeable and very friendly. We will definitely be back! Had a wonderful meal! The staff was attentive and friendly. Lovely old home setting that was quiet and very enjoyable! 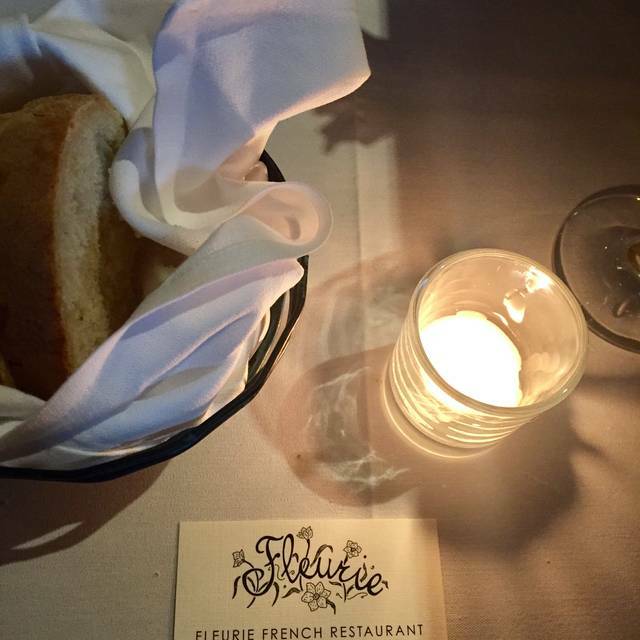 We like to dine at Fleurie whenever we have a reason to come to Charlottesville. Food is always delicious, an wine pairings are exceptional. 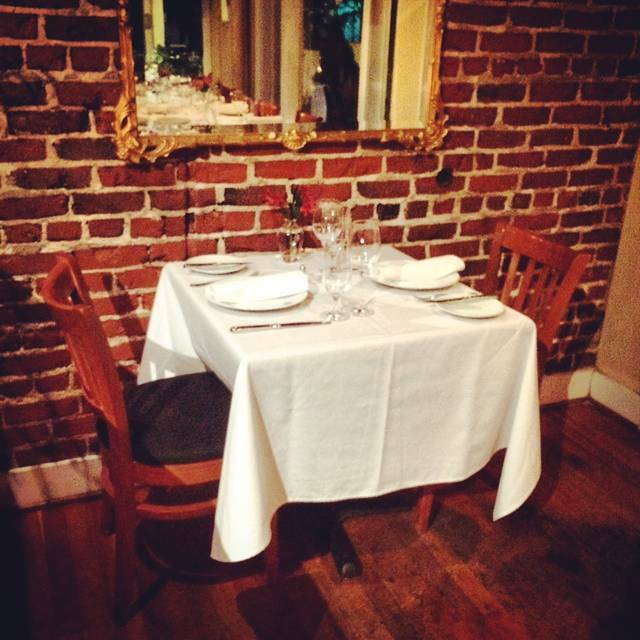 Charlottesville has a number of very good restaurants to choose from, but Fleurie is the best! It is our choice for special dinners as well as whenever we want to go out and know that we will have a great experience. The service is very attentive and friendly and they make the extra effort to note our preferences. 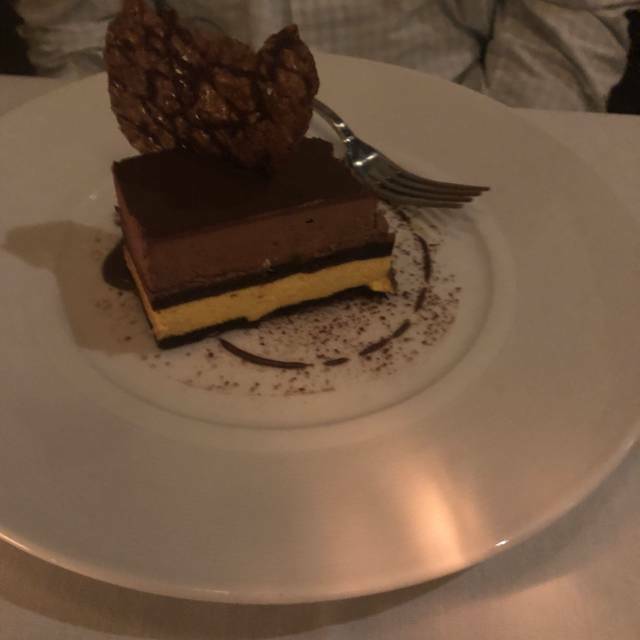 The food is outstanding and the desserts are too good to turn down! We love Fleurie! Excellent food, wine and service. A charming spot and lovely evening. Highly recommend Fleurie. The salad was superb (greens,caromont cheese, pignoli nuts),and so was the creme brûlée and the wine selection. The rockfish unfortunately was bland and the haricots verts were few and over cooked. Farid was outstanding, as usual. He helped a great deal with my wine selection. Food was delicious, cooked perfectly, served hot and beautifully presented. Service was attentive, professional and courteous. Restaurant ambiance is warm and flower arrangements are always lovely. A perfect experience. It's great. 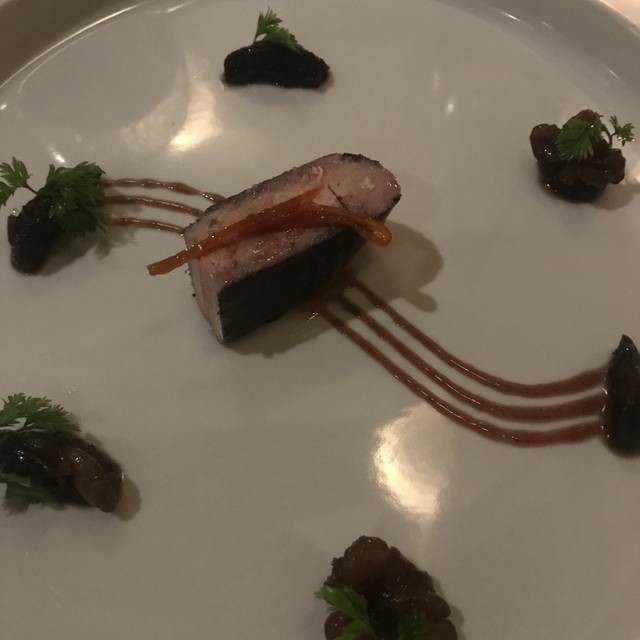 It's pricey for someone without a well paying job, but it's fine dining, I suppose, so can't really complain about that. The staff made it feel worth it for the special occasion which brought us there, so credit especially to them. Very professional and made us feel welcome and well taken care of. Amazing experience! Food and pairings were phenomenal. Our server Vinnie was incredible- he said he wasn’t a sommelier but we beg to differ! If you are looking for exquisite food in a subtle, quiet atmosphere, this is the best restaurant in Charlottesville. Overall quite good. Good as is often the case here sits for awhile before being served. So it is lukewarm. Nonetheless very tasty! Service was good but should hagern a little more attentive. Love this romantic venue! Gracious servers, great food - high quality experience! Incredible birthday dinner! The food was so delicious - tasting menu was a wonderful experience! Service was impeccable. We eat at a lot of fine restaurants and rarely find one of this caliber! Each dish was plated beautifully and seasoned well. The staff was very knowledgeable about wine selections. We will definitely be back on our next trip to Charlottesville! Fleurie was recommended to us by Jason, the owner of Wisdom Oak winery. He assured us we would love it, and we did! Melissa (sommelier) was amazing-her pairings with our meal courses were spot on! The food and other service was also fantastic. Very comfortable, not too formal environment. Highly recommend! I was entertaining a client from Md and have wanted to try this restaurant since it opened. We were both very impressed, it was so delicious and cozy. We will definitely be back! Lovely 50th wedding anniversary twosome dinner at the Fleurie. Our waiter, Farid, was absolutely fabulous. The staff was welcoming, friendly and courteous. Very customer focused. Thank you. The only negative I might add is that since our dinner reservation had been made very well in advance and it included information about out special occasion, we would have sppreciated a more private and romantic table other than the one at which we were seated, just outside the noisy kitchen.